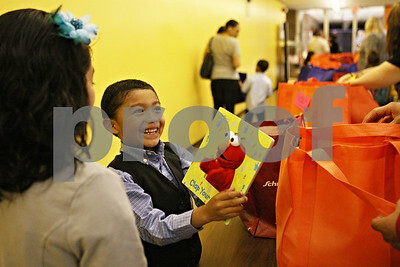 Rob Winner – rwinner@shawmedia.com Ronaldo Ocelotl, 5 of Sycamore, reacts to a Sesame Street book featuring Elmo as the DeKalb/Sycamore Bookcase Project distributed its first round of bookcases along with a bag filled with books after a ceremony at Huntley Middle School in DeKalb Saturday afternoon. The personalized bookcases were built by local craftsmen with donations from local residents that were awarded to children from the Two Rivers Head Start program. 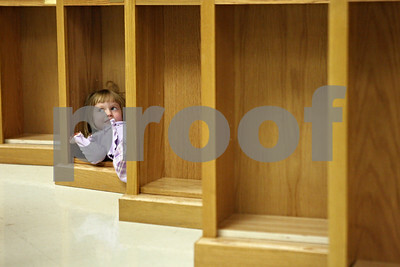 Rob Winner – rwinner@shawmedia.com Deserea Schiller, 3 of DeKalb, sits inside her new bookcase that she received as the DeKalb/Sycamore Bookcase Project distributed its first round of bookcases after a ceremony at Huntley Middle School in DeKalb Saturday afternoon. Recipients also received a bag filled with books. The personalized bookcases were built by local craftsmen with donations from local residents that were awarded to children from the Two Rivers Head Start program. 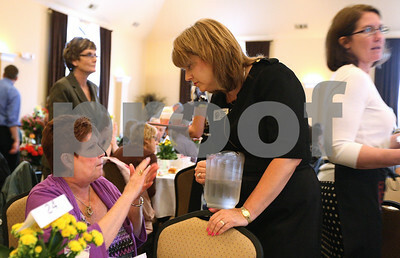 Kyle Bursaw – kbursaw@shawmedia.com Laura Frankiewicz chats with State Senator Christine Johnson at the Meals for Moms lunch fundraiser for the Voluntary Action Center. Johnson and District 427 Assistant Superintendent Kathy Countryman (right) were just a few of the volunteer servers for the event held at the Regale Center in Sycamore, Ill. on Monday, May 7, 2012. 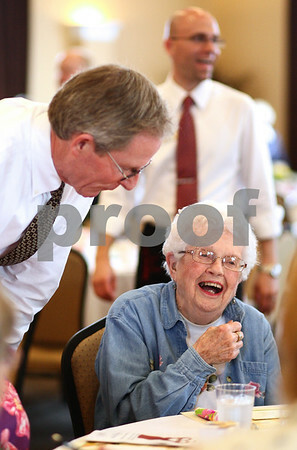 Kyle Bursaw – kbursaw@shawmedia.com Bill Nicklas, NIU's associate vice president for institutional planning and sustainability, gets a laugh out of Juanita Anderson at the Meals for Moms lunch fundraiser between filling up water glasses. Nicklas and DeKalb County Clerk John Acardo (background) were just a few of the volunteer servers for the event held at the Regale Center in Sycamore, Ill. on Monday, May 7, 2012. 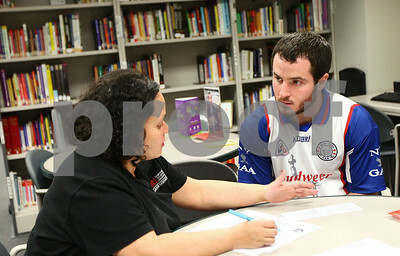 Kyle Bursaw – kbursaw@shawmedia.com Jocelyn Santana, NIU's Career Resource Center Manager, advises junior Mike Gish (right) on making a resume in the Career Resource Center on Monday, May 7, 2012. Kyle Bursaw – kbursaw@shawmedia.com Jocelyn Santana, NIU's Career Resource Center Manager, shows sophomore Shaquita Slater (right) the 'Huskies - Get Hired! 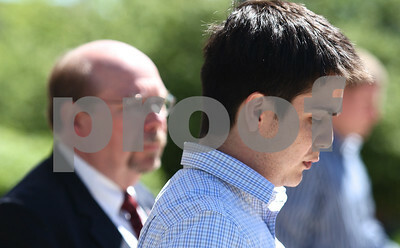 with Victor eRecruiting' resource on the Northern Illinois website on Monday, May 7, 2012. 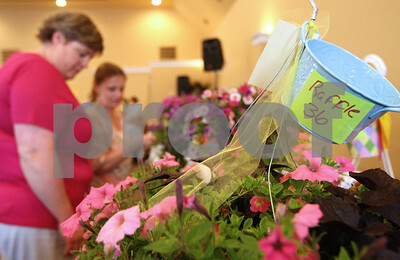 Kyle Bursaw – kbursaw@shawmedia.com Two women investigate the items up for raffle at the Meals for Moms lunch fundraiser held at the Regale Center in Sycamore, Ill. on Monday, May 7, 2012. 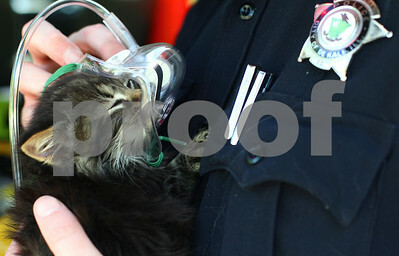 Kyle Bursaw – kbursaw@shawmedia.com DeKalb Police Officer Jeff Winters helps a cat rescued from 247 Tilton Park Drive snuggle up to an oxygen mask after being retrieved from the basement where the fire originated on Wednesday, May 9, 2012. Kyle Bursaw – kbursaw@shawmedia.com Jason Wiseman of Commercial Mechanical Inc. welds together pieces for the boiler in the mechanical room of Kishwaukee College's new 81,000-square-foot Student Center on Friday, May 4, 2012. 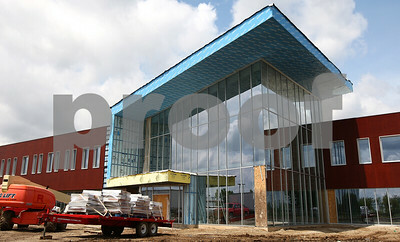 Kyle Bursaw – kbursaw@shawmedia.com Construction continues outside the entrance to Kishwaukee College's new 81,000-square-foot Student Center on Friday, May 4, 2012. 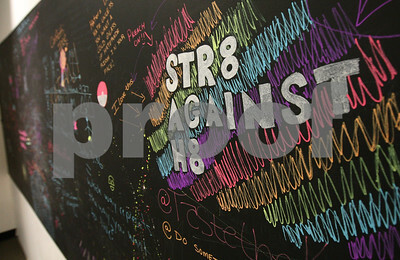 Kyle Bursaw – kbursaw@shawmedia.com Using chalk paint, Kishwaukee College students have written messages to the prompt: "Imagine, making the world a better place: What do you see, hope, think, wish ... write or draw it on the wall" where a temporary wall was erected in the existing building where it meets the new expansion. 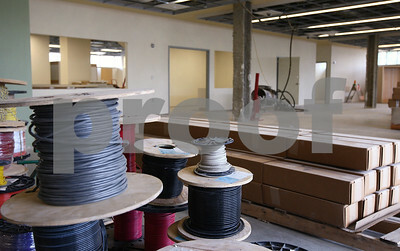 Taken Friday, May 4, 2012. 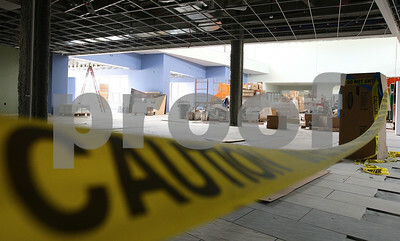 Kyle Bursaw – kbursaw@shawmedia.com Construction continues on what will become the kitchen and checkout area of Kishwaukee College's new Student Center is seen in the foreground, and in the background is the dining area on Friday, May 4, 2012. Kyle Bursaw – kbursaw@shawmedia.com Construction continues on what will become a new bookstore in Kishwaukee College's new 81,000-square-foot Student Center on Friday, May 4, 2012. 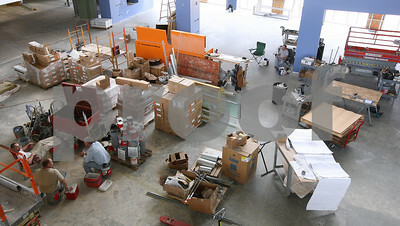 Kyle Bursaw – kbursaw@shawmedia.com Workers take a lunch break in what will become the dining area in Kishwaukee College's new 81,000-square-foot Student Center on Friday, May 4, 2012. 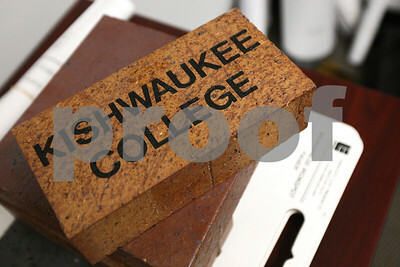 Kyle Bursaw – kbursaw@shawmedia.com A 'Kishwaukee College' brick sits in Rob Galick's office at the college. The brick is part of the college's "Paving the way for the Future of Education!" program, which sells custom bricks that will line the path to the new front entrance of the college. The size pictured on top cost $100 and one the size of the brick underneath cost $250. 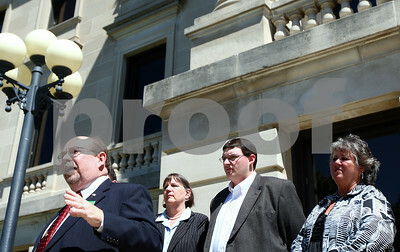 Kyle Bursaw – kbursaw@shawmedia.com Attorney Richard Schmack (left) publicly announces his intention to run for DeKalb County State's Attorney in front of the DeKalb County Courthouse on Thursday, May 10, 2012. 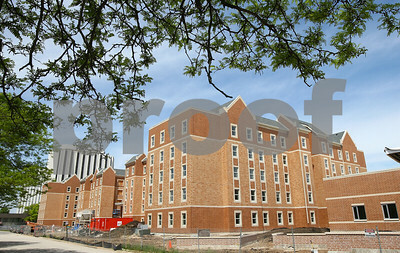 Kyle Bursaw – kbursaw@shawmedia.com Construction continues on the new Northern Illinois University dormitory complex just north of Lincoln Hall on Friday, May 4, 2012. Kyle Bursaw – kbursaw@shawmedia.com DeKalb County Democratic Party Chairman Mark Pietrowski Jr introduces Attorney Richard Schmack and announces the party's plans to caucus Schmack onto the November ballot for state's attorney in front of the DeKalb County Courthouse on Thursday, May 10, 2012. 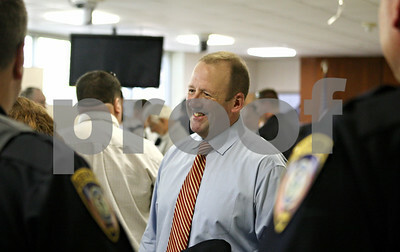 Rob Winner – rwinner@shawmedia.com After being named the new DeKalb police chief, Eugene Lowery, meets and shakes hands with fellow law enforcement and members of the county's fire departments at DeKalb City Hall Thursday afternoon. Lowery is currently the deputy chief of the police department in Crystal Lake. 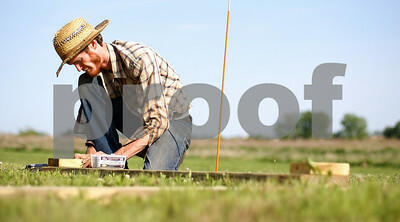 Kyle Bursaw – kbursaw@shawmedia.com Heath Johnson, a member of the DeKalb County Community Garden group, assembles the frame to one of two garden plots at Cortland Elementary on Friday, May 11, 2012. 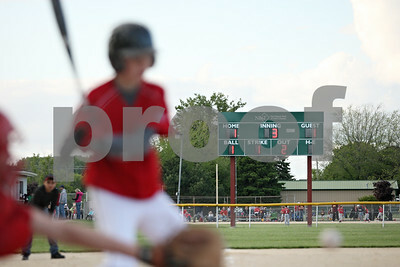 Rob Winner – rwinner@shawmedia.com The Sycamore Youth Baseball Pony League and National Bank & Trust partnered to purchase a 15-foot electronic scoreboard, as seen on Wednesday evening, for the Pony League field at Sycamore Park. 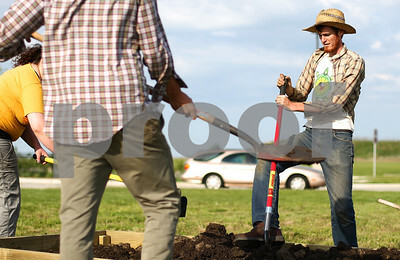 Kyle Bursaw – kbursaw@shawmedia.com Heath Johnson, a member of the DeKalb County Community Garden group, and other volunteers take dirt from one garden plot and move it into the second empty plot at Cortland Elementary on Friday, May 11, 2012. Rob Winner – rwinner@shawmedia.com Northern Illinois goalkeeper Amy Carr works out on the NIU soccer field Thursday in DeKalb. Carr is traveling to South Africa this summer to hold youth soccer camps. 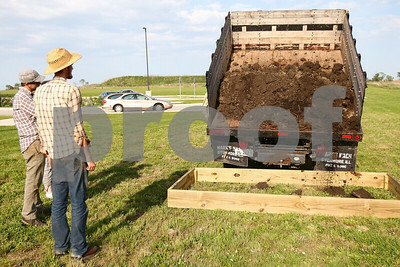 Kyle Bursaw – kbursaw@shawmedia.com Nathan Dettman (from left) and Heath Johnson, members of the DeKalb County Community Garden group, look on as dirt is dumped into one of two garden plots at Cortland Elementary on Friday, May 11, 2012. 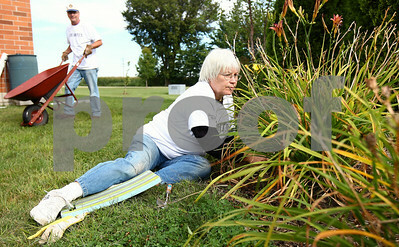 Kyle Bursaw – kbursaw@shawmedia.com Bonnie Anderson removes weeds at dead pieces of plants in the back of Heritage Woods in DeKalb, Ill. on Thursday, Sept. 8, 2011, while volunteering on the Day of Caring sponsored by the Kishwaukee United Way. 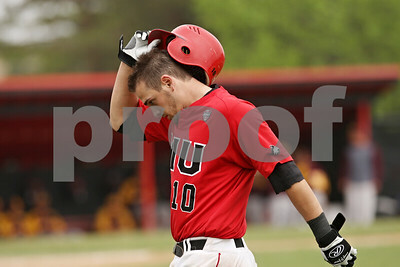 Rob Winner – rwinner@shawmedia.com Northern Illinois batter Joe Battaglia removes his helmet and heads to the dugout after striking out during the bottom of the seventh inning in DeKalb Saturday afternoon. Central Michigan defeated Northern Illinois, 3-1. 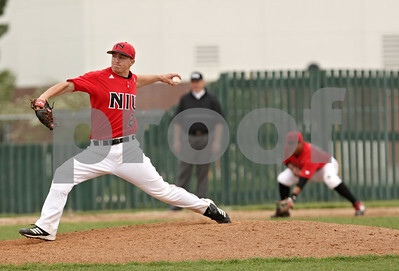 Rob Winner – rwinner@shawmedia.com Northern Illinois starting pitcher Jake Hermsen delivers during the top of the seventh inning in DeKalb Saturday afternoon. Central Michigan defeated Northern Illinois, 3-1. 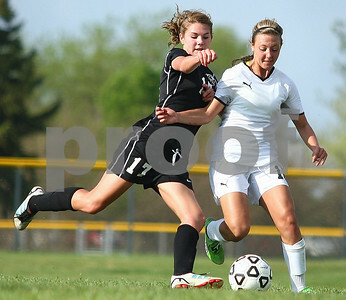 Kyle Bursaw – kbursaw@shawmedia.com Sycamore's Sarah Papini and Kaneland's Courtney Diddell chase after the ball during the first half of their game in Sycamore, Ill. on Thursday, May 3, 2012. 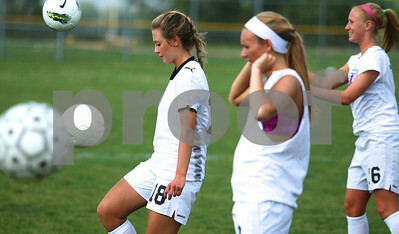 Kyle Bursaw – kbursaw@shawmedia.com Sycamore soccer players Sarah Papini (from left), Kieley Leach and Lindsey Hemmerich warm up for their game against Kaneland in Sycamore, Ill. on Thursday, May 3, 2012. 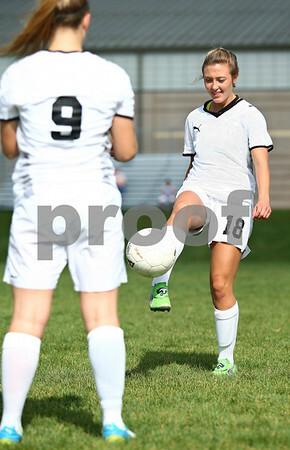 Kyle Bursaw – kbursaw@shawmedia.com Sycamore soccer players Sarah Papini (18) and Alexis Divita (9) kick a ball around to warm up for their game against Kaneland in Sycamore, Ill. on Thursday, May 3, 2012. 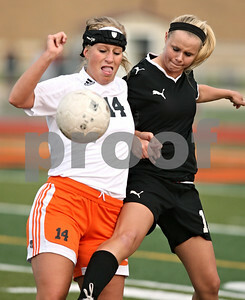 Rob Winner – rwinner@shawmedia.com DeKalb's Kelsey Lyle (14) and Lindsey Hemmerich struggle for a ball during the first half in DeKalb Tuesday, May 8, 2012. Sycamore defeated DeKalb, 3-1. 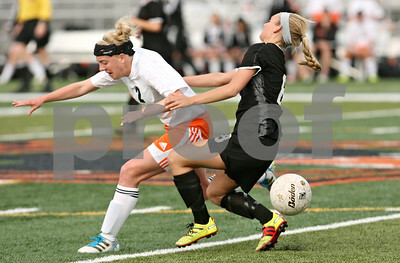 Rob Winner – rwinner@shawmedia.com DeKalb's Kelli Cardine (2) and Sycamore's Kieley Leach go to the ground after colliding during the first half in DeKalb Tuesday, May 8, 2012. Sycamore defeated DeKalb, 3-1. 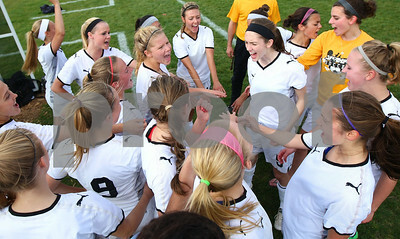 Kyle Bursaw – kbursaw@shawmedia.com Sarah Papini (Top and center) and Lauren Miller (center right) and the rest of the Sycamore soccer team pump up for their game against Kaneland in Sycamore, Ill. on Thursday, May 3, 2012. 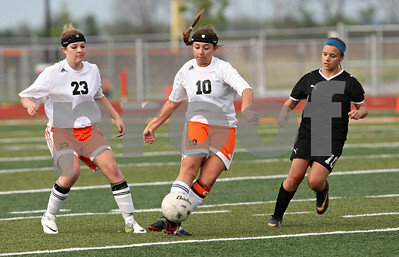 Rob Winner – rwinner@shawmedia.com DeKalb's Dani Howard (10) controls the ball during the first half in DeKalb Tuesday, May 8, 2012. Sycamore defeated DeKalb, 3-1. 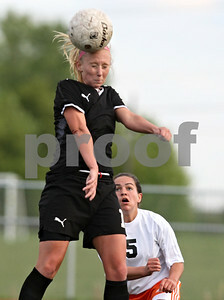 Rob Winner – rwinner@shawmedia.com Sycamore's Lindsey Hemmerich heads a ball during the first half in DeKalb Tuesday, May 8, 2012. Sycamore defeated DeKalb, 3-1. 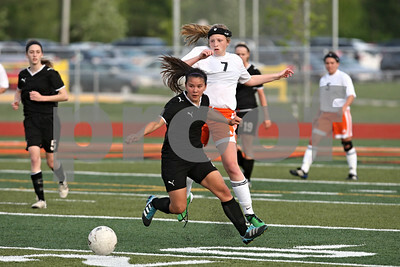 Rob Winner – rwinner@shawmedia.com DeKalb's Abby Hickey (7) controls a ball as Sycamore's Emma Floit goes down during the first half in DeKalb Tuesday, May 8, 2012. Sycamore defeated DeKalb, 3-1. 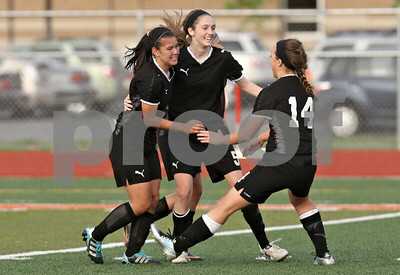 Rob Winner – rwinner@shawmedia.com Emma Norris (left) celebrates her first half goal with her teammates including Lauren Miller (center) and Katherine Kohler during the first half in DeKalb Tuesday, May 8, 2012. Sycamore defeated DeKalb, 3-1. 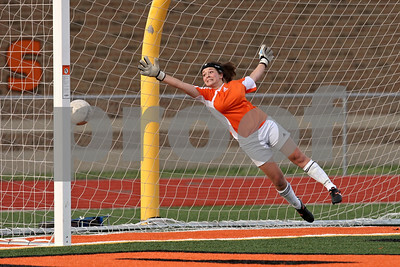 Rob Winner – rwinner@shawmedia.com DeKalb goalkeeper Maddie Frye is unable to stop a goal by Sycamore's Emma Norris (not pictured) during the first half in DeKalb Tuesday, May 8, 2012. Sycamore defeated DeKalb, 3-1. 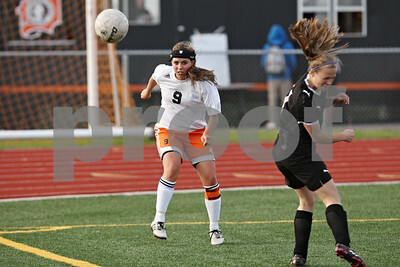 Rob Winner – rwinner@shawmedia.com Sycmaore's Emma Norris (front) and DeKalb's Abby Hickey chase after a ball during the first half in DeKalb Tuesday, May 8, 2012. Sycamore defeated DeKalb, 3-1. 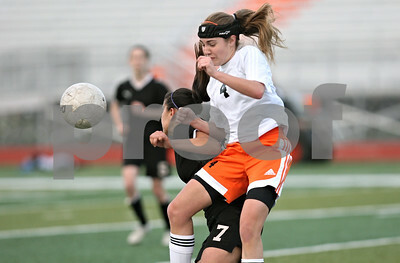 Rob Winner – rwinner@shawmedia.com DeKalb's Morgan Beaty (4) and Sycamore's Emma Norris (7) struggle for a ball during the second half in DeKalb Tuesday, May 8, 2012. Sycamore defeated DeKalb, 3-1. 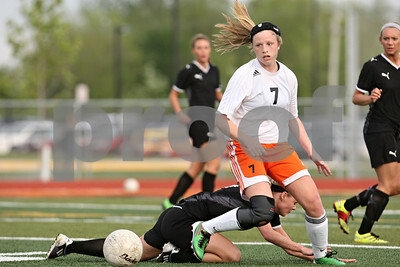 Rob Winner – rwinner@shawmedia.com DeKalb's Alli Smith clears a ball during the first half in DeKalb Tuesday, May 8, 2012. Sycamore defeated DeKalb, 3-1. 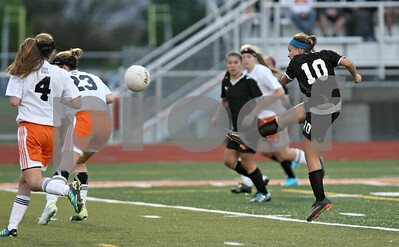 Rob Winner – rwinner@shawmedia.com Sycamore's Michelle Doran (10) kicks in her second goal during the second half in DeKalb Tuesday, May 8, 2012. Sycamore defeated DeKalb, 3-1. Rob Winner – rwinner@shawmedia.com Sycamaore's Emma Norris (left) and Michelle Doran (10) celebrate Doran's first goal during the second half in DeKalb Tuesday, May 8, 2012. Sycamore defeated DeKalb, 3-1. 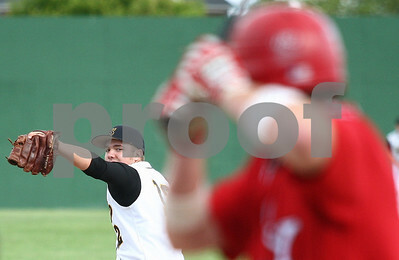 Kyle Bursaw – kbursaw@shawmedia.com Sycamore pitcher Matt Godinsky delivers to a Yorkville batter in the top of the first inning at Sycamore Park on Tuesday, May 8, 2012. 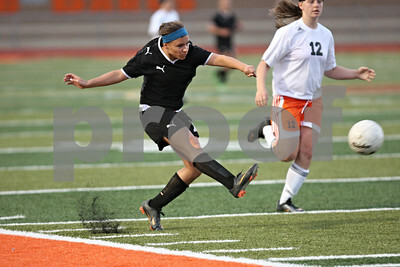 Rob Winner – rwinner@shawmedia.com Sycamore's Michelle Doran takes a shot during the second half in DeKalb Tuesday, May 8, 2012. 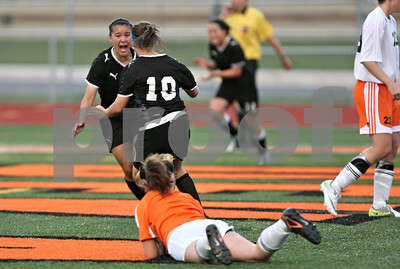 Sycamore defeated DeKalb, 3-1, with two goals by Doran in the second half. 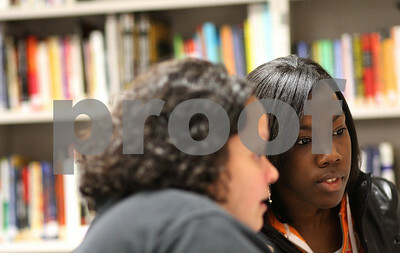 Jocelyn Santana, NIU's Career Resource Center Manager, shows sophomore Shaquita Slater (right) the 'Huskies - Get Hired! with Victor eRecruiting' resource on the Northern Illinois website on Monday, May 7, 2012.